Marketing your small business or brand can be time-consuming and not to mention pretty expensive. It doesn’t have to be though. 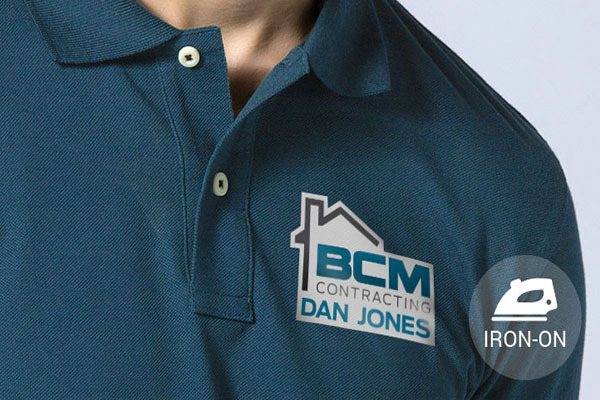 One option for adding some style to your business- team shirts or apparel, and we don’t just mean a uniform. StickerYou can show you how to turn bland business apparel into creative marketing swag with custom iron-on transfers at a lower price than you’d expect. You can even make as many or as few transfers as you need so don’t even worry about minimum orders! This is a perfect option for small businesses or short term events where you only need a few custom shirts. 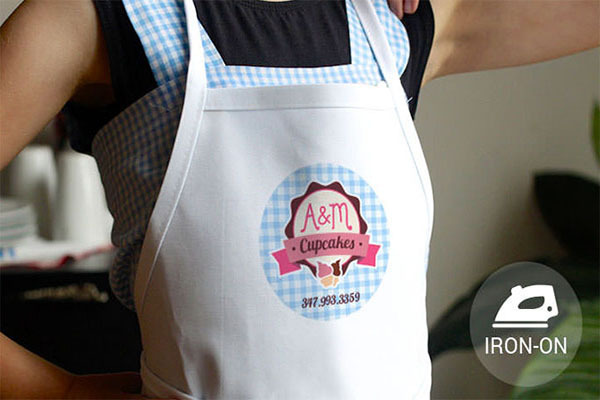 Think semi-annual sales, trade shows, block parties, staff parties- custom iron-ons are the way to go! Through StickerYou’s online platform, you can upload your brand or company’s logo in a bunch of different shapes and sizes to make the perfect customized iron-on transfer or browse through StickerYou’s pre-uploaded images and fonts if you need a little inspiration. We use a 4-colour CMYK process when we print out your transfer so if you need to accurately achieve a specific brand colour, we’ve got you covered. It’s so easy and quick to make iron-on transfers that you’ll even have fun designing them… we promise! Once you’ve received your printed iron-on transfers in the mail, all you need is 30 seconds to a minute to iron on each transfer. That’s seriously how quick they are to apply! Put them on your staff shirts and hats or deck out some tote bags with your logo so your customers literally become walking advertisements for your brand. When it’s time to wash your fabrics, do not worry. The iron-on transfer is washing machine and dryer safe, and durable enough that you can keep washing it as much as you need to without it fading. Your iron-ons are also sun and water resistant and will withstand all the elements so you can trust that it’ll keep sticking. If you need a little help with your iron-on transfer, we have lots of tutorial videos to make it easier for you. Have fun designing and applying your StickerYou iron-on transfers!